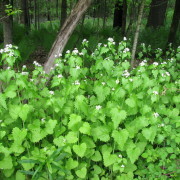 If you walk by the Upper Valley Land Trustâ€™s Gateway parcel on Main Street in Norwich, VT, and if you are very quiet, you just might hear fear coming from the invasive plant species remaining on siteâ€¦â€¦and youâ€™ll hear moans from those that have perished! 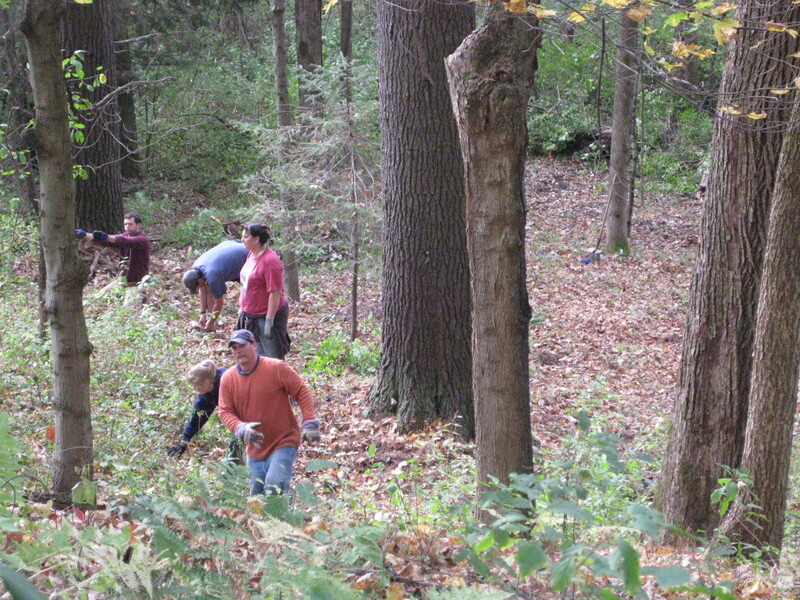 With the hyper-help of 16 employees from Hypertherm, a Hanover, NH, based manufacturing company, about 30,000 square feet of woods were cleared of non-native, invasive plants that have taken over the area and threaten the longevity of the forest. 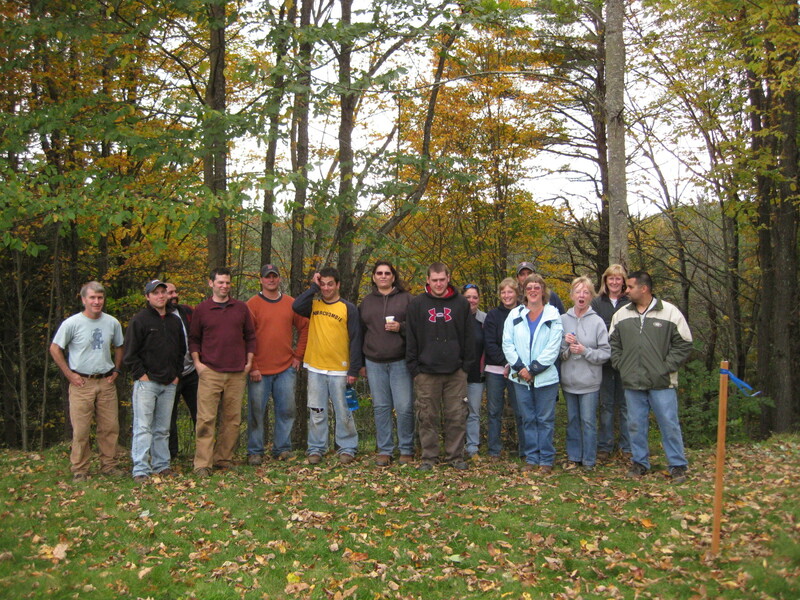 Production crews from Hypertherm used one of their two days per year of paid time off for community service to rip, pull, tug, and yank out roots, shrubs, and trees of Glossy Buckthorn, European Honeysuckle and Japanese Barberry. The screams from the plants as their roots came out, one-by-one, were deafening but added great inspiration to an awesome crew of workers. 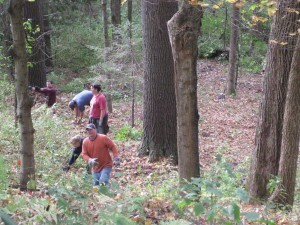 While most everyone didnâ€™t quite understand what Buckthorn was at the start, by dayâ€™s end, one could easily see the progressâ€¦.and the challenge that remains. If you or a group you work with would like to be part of the actionâ€¦.and part of the solutionâ€¦please let us know! …and if you go to the site to see the work, be sure to look across the river toward the east side of Hanover and give the crew at Hypertherm a nod of thanks! Their achy backs and hands are making a differenceâ€¦..and building communityâ€¦one step at a time.